It's September and that means fall is almost here. Crisp cool air, the leaves start changing, and football. 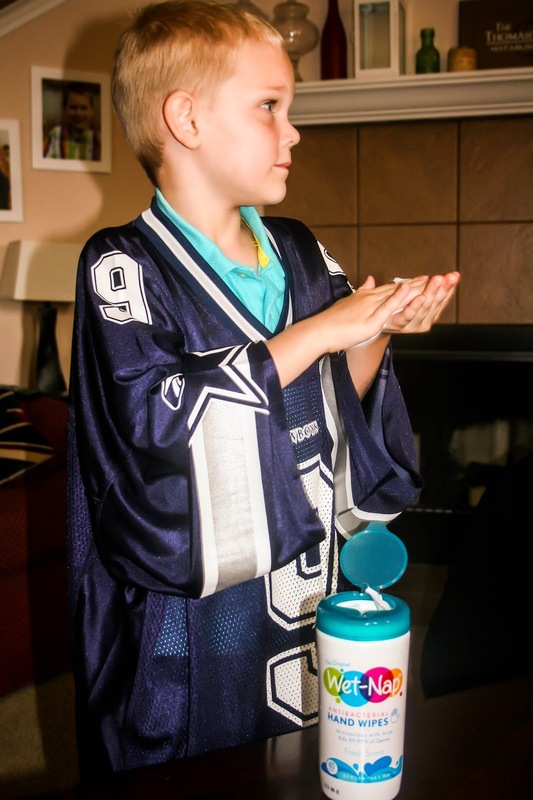 Of course being from the south, Texas to be exact, football is part of our culture. It's practically in our bloodline. 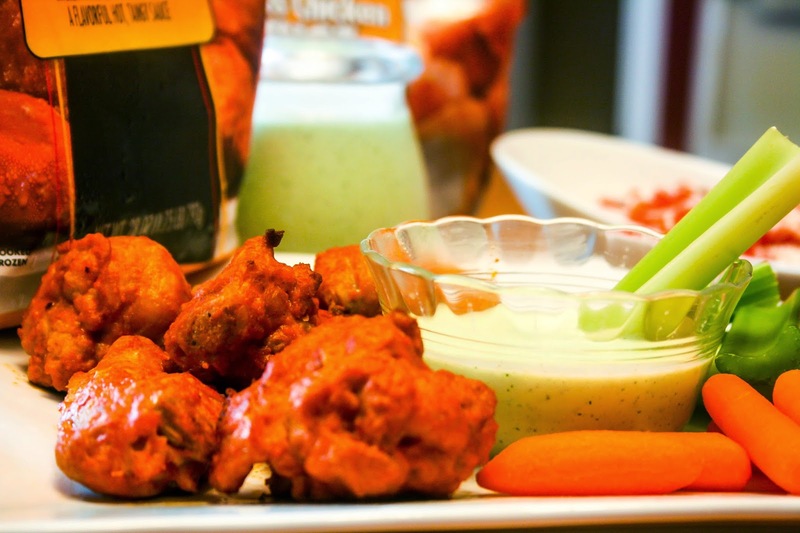 Every Sunday we gather around the table and enjoy good food, fun laughs, and cheer on our favorite teams. Well, every Thursday night and Monday night to be exact. 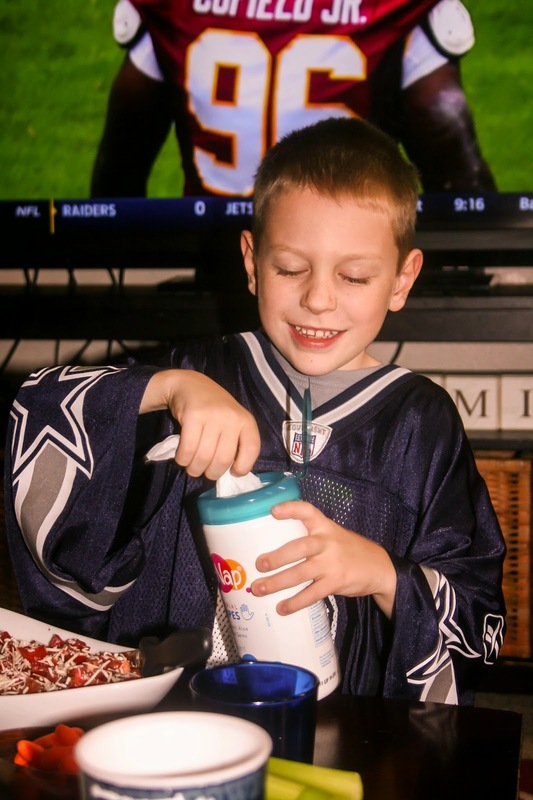 But, since the boys have school and go to bed rather early, Sunday is our day for family, football, and lots of food. 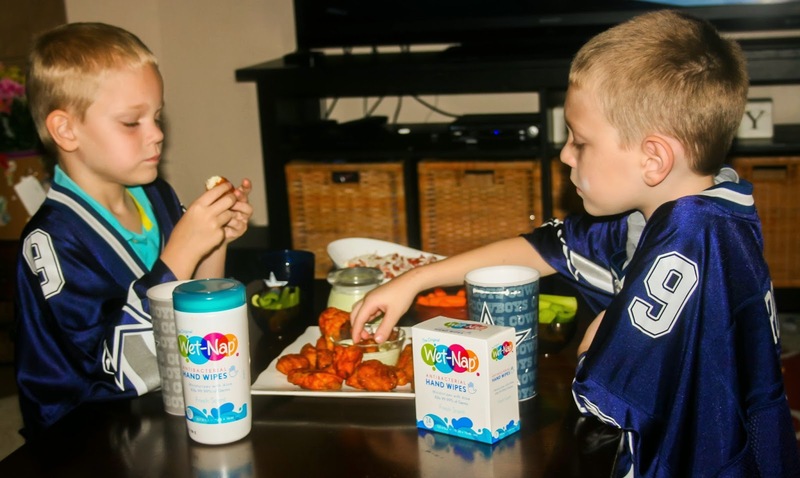 Food plays a major role in our football family time. My growing boys can eat all day long and believe me they do! So it's important to have things that are not only good tasting but good for them as well. I don't want them snacking on chips and cookies all day long. 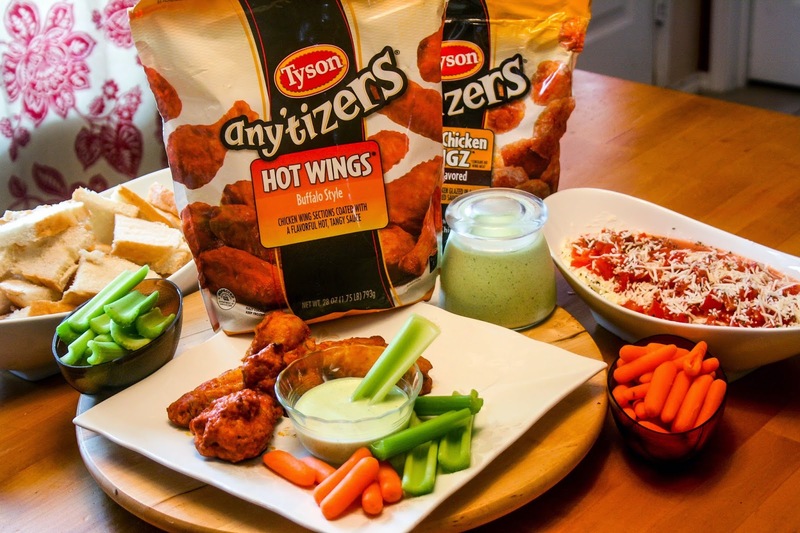 So, while planning out our Sunday Fun-day menu, we headed to our local Wal-Mart and knew that Tyson Any'Tizers wings were perfect for our family. 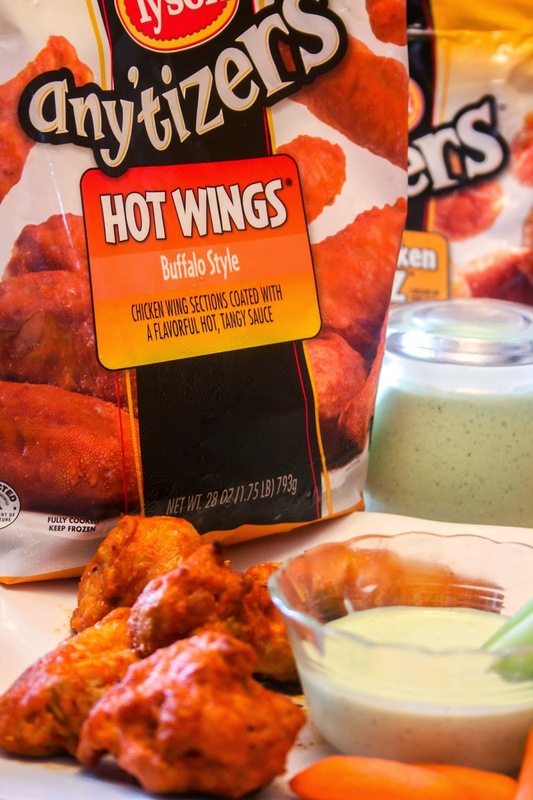 My boys cannot get enough of them and they are something we can throw in the oven at any time. 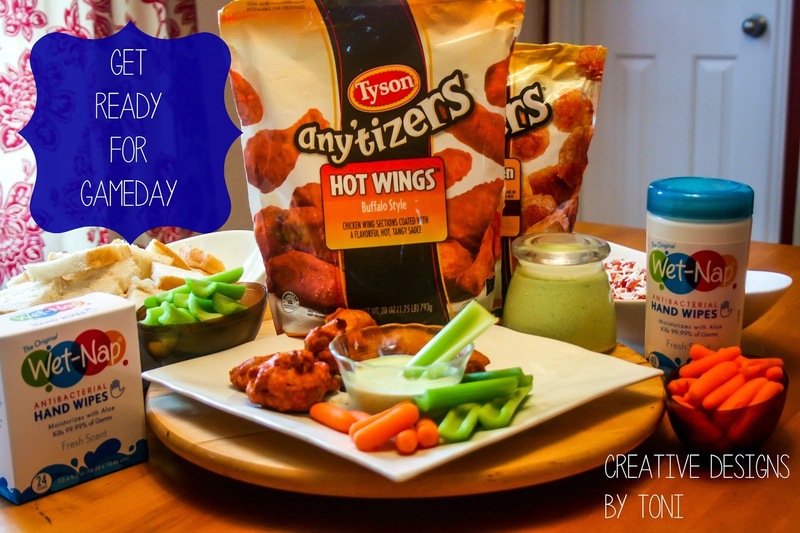 I also made a homemade Cilantro Lime Ranch dip to go along with our Tyson Any-Tizers Hot Wings. 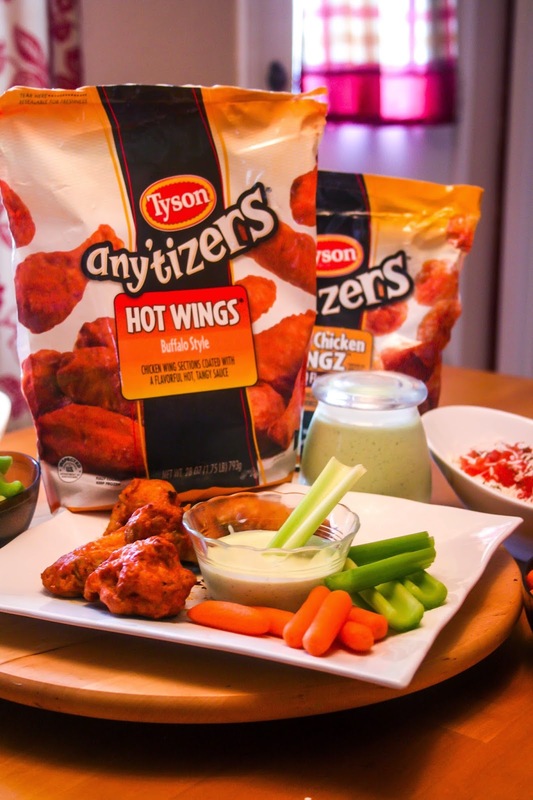 It was my first time making it and was a perfect pair with our wings! Check out the recipe below. It was not my original recipe, I found it online but it came out super great. Of course, all this yummy food and excitement can get a little out of hand and messy. 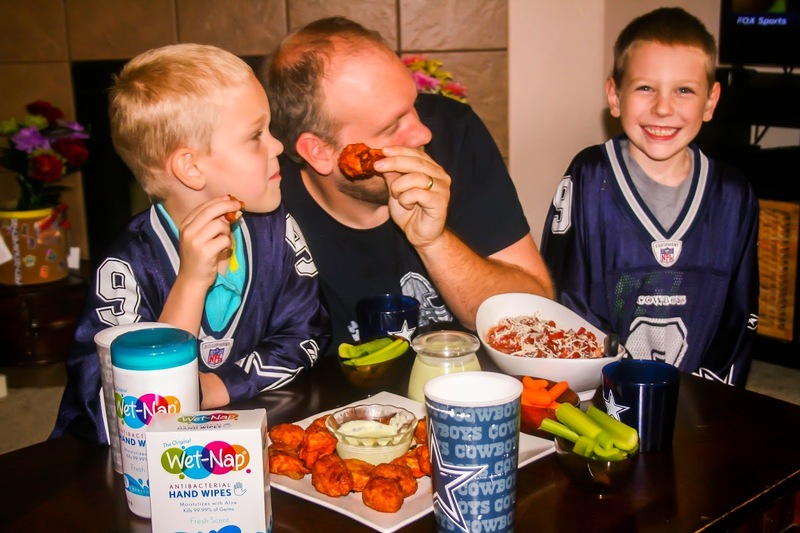 So, when have foods that we eat with our hands, we always have Wet-Nap on hand. Because we all know messy little hands will go everywhere and touch everything!!!! Not to mention the "grown up kids" too. Sometimes my husband is even more messier then the boys are. 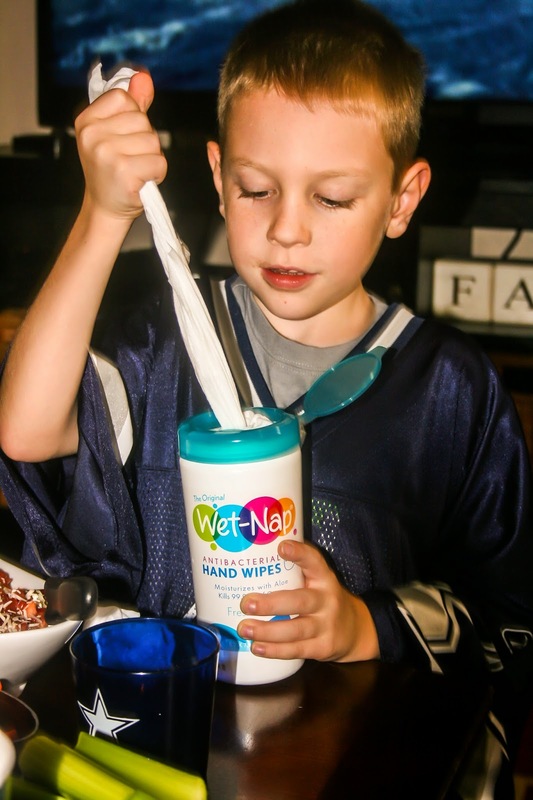 Plus, I was able to use this coupon to get $.55 off any Wet-Nap product, while supplies last. Talk about a great deal! 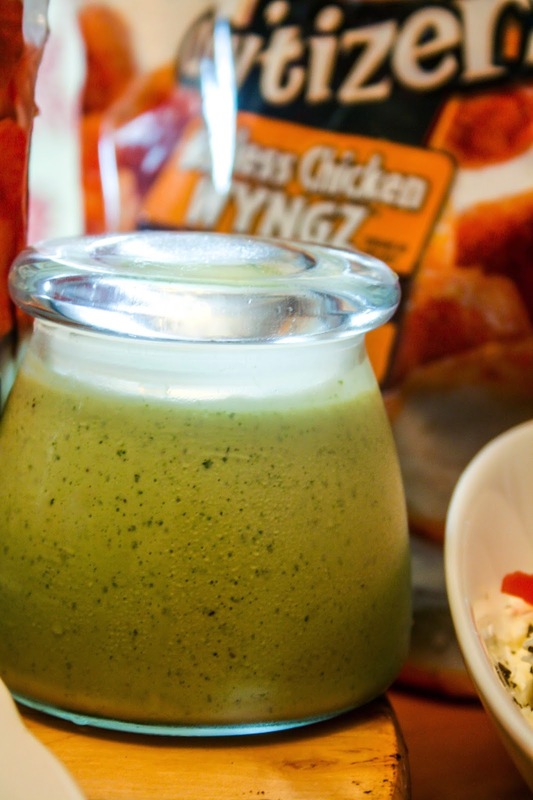 Place all ingredients into a blender or food processor and bend until smooth and creamy. Leftovers can be kept in air tight container for up to 2 weeks in the refrigerator. Don't delay! 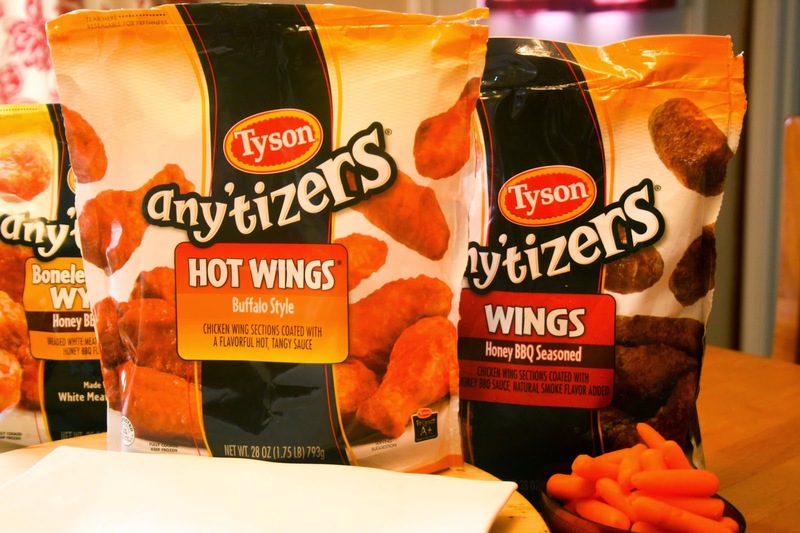 Check out Tyson Any-Tizers Hot Wings on Twitter and Facebook. 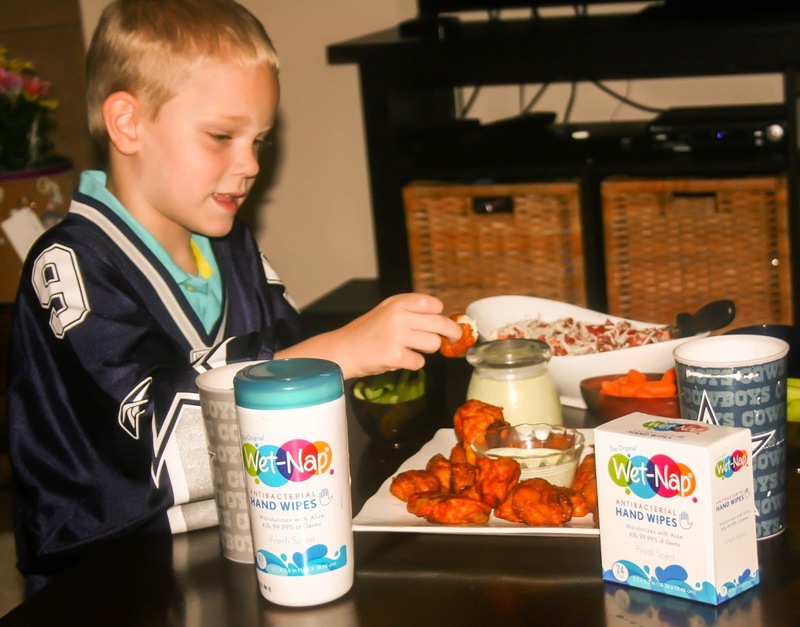 Check out more about Wet-Nap Products on their Facebook, and Pinterest pages. 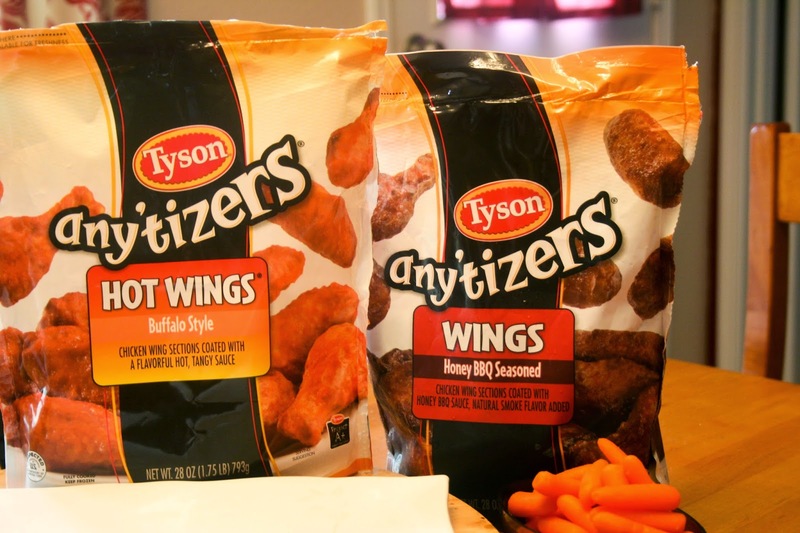 We love Tyson Wings at our house too, had them last weekend for the USC game. 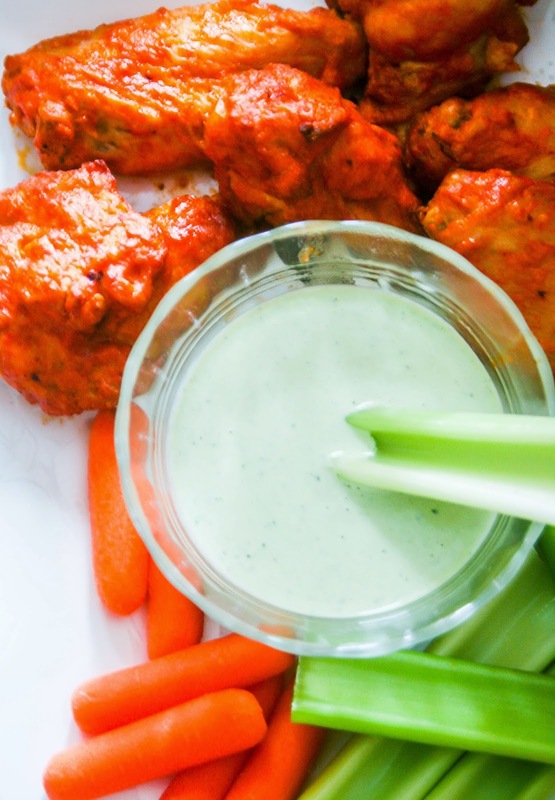 Will have to try the dip recipe too.